In the last few months, I have really struggled to sort out my thoughts and figure out what makes me happy. More than a year ago, I decided that I was going to live on a five-acre horse farm and keep a couple horses. And then I spent some time with a 50-something-year-old woman who had three horses. I soon realized that this was a part-time job, and it was an expensive part-time job. Reluctantly, I decided to buy a few stuffed horses and call it a day. She’s tiny, adorable, amazingly comfortable and also practical. 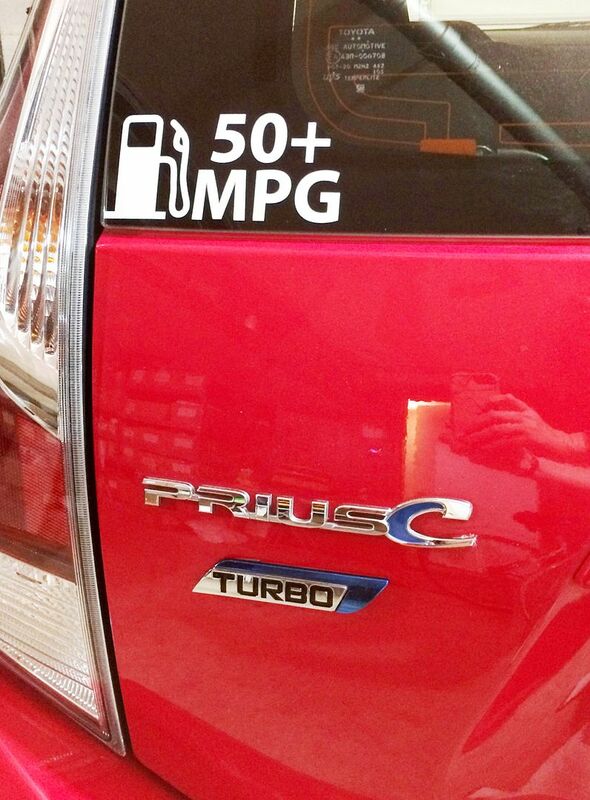 Best of all, she sips gas, obtaining 55-65 mpg. A few times, I have surpassed 70 mpg. 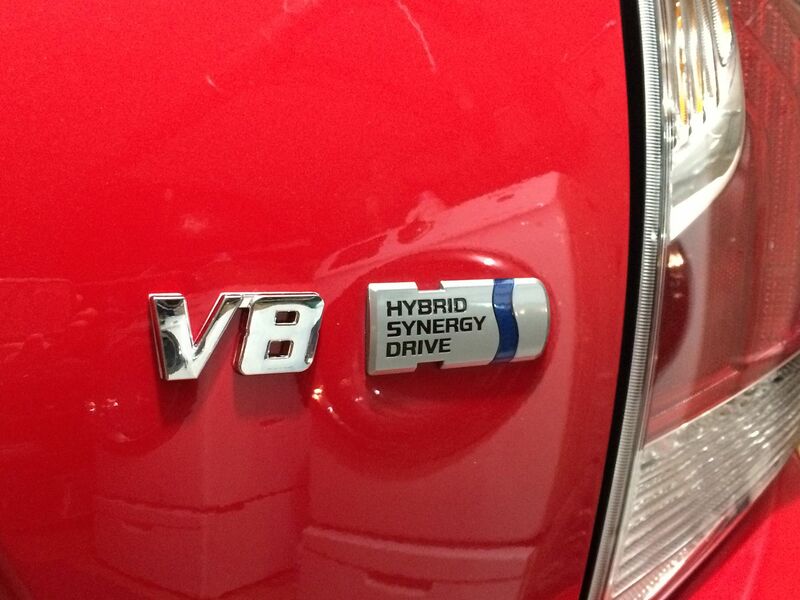 C-Biscuit is a hybrid, powered by both an ICE (internal combustion engine) and battery power. The engine has a mere 66 horsepower, and the electric side provides an additional 33 horsies, for a total of 99 horsepower. It does 0-60 in 12 seconds. It’s efficient. It’s not fast. 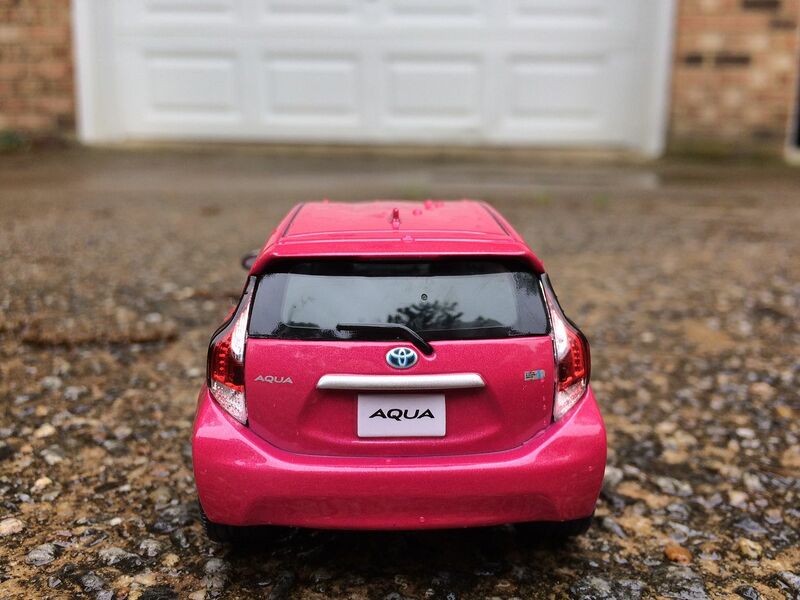 The Prius C is known as the “Aqua” in Japan, and has consistently been one of the best selling cars in that country. In the United States, sales have not been as strong. Rumors abound that 2018 will be the last year for the Prius C in America, but with gas prices creeping back up, maybe Toyota will revisit that decision. Sometimes, it’s hard to really know why something makes us happy. Perhaps it’s enough to find that silly little thing - even a slightly used red hatchback - and just grab onto it and enjoy the smiles per gallon. 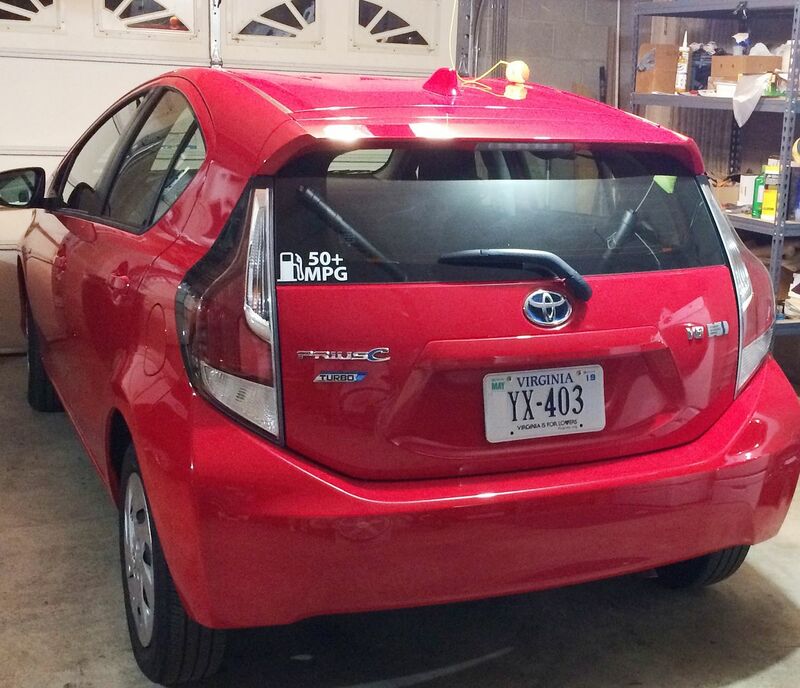 C-Biscuit (my Prius C) was purchased used in North Carolina, where they don't require front plates. I thought I heard a little "yelp" when I drilled holes into C-Biscuit's front bumper (for the Virginia license plates). It's adorable both coming and going. My mother's last car (purchased shortly before her death) was a little red station wagon, very similar to this car. There was something about this car that really touched my heart. Every time I look at this car, I smile. It reminds me of my first car, too. And that's a very happy memory. 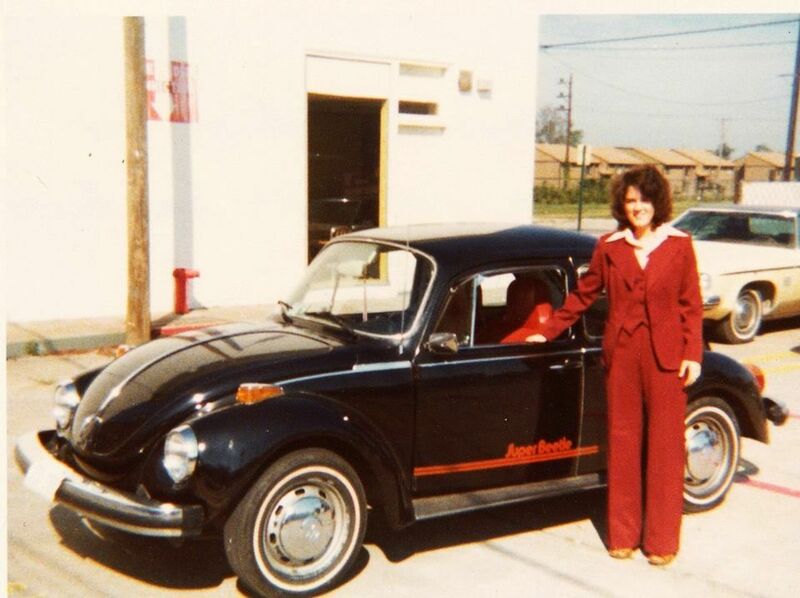 A million years ago, in a galaxy far away...My first car was a 1974 Super Beetle with a 1600cc engine. It was red on the inside and black on the outside, the inverse of C-Biscuit. The Super Beetle ("Ludwig") had a bigger engine than the Prius C. And yes, that's me. I was 17-year-old, 5'9" and weighed 124 pounds and worried constantly about my weight! 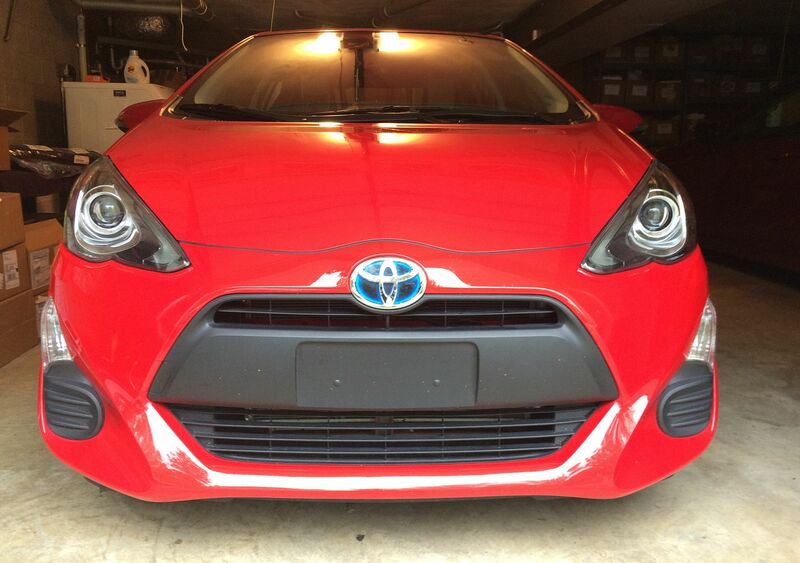 This Prius C does 0-60 in 12 seconds. And it gets super gas mileage! In fact, I was so besotted with "C-Biscuit" that I bought a diminutive version for my desk. 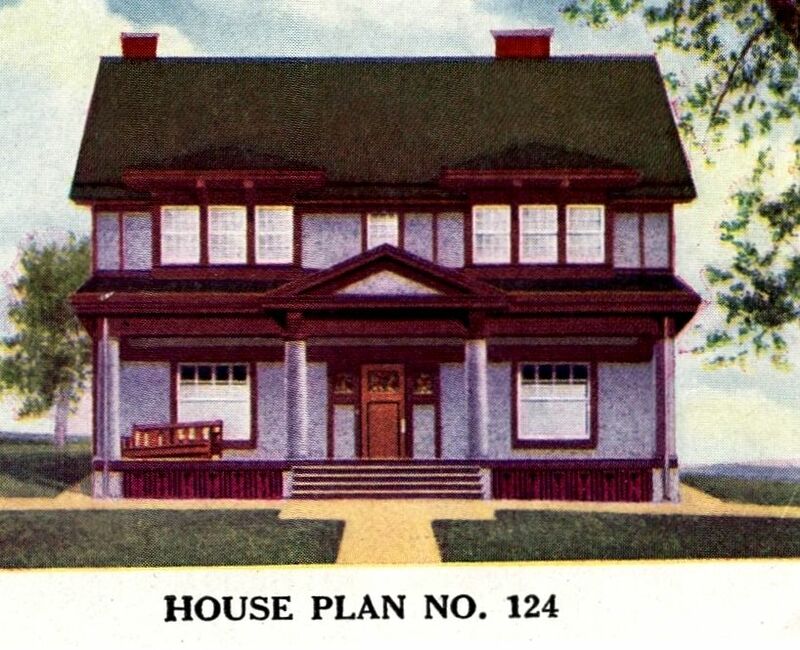 And here's a picture of a Sears Modern Home (#124) in Wisconsin, just so I can say that I wrote about Sears Homes today. Either I have stayed up way too late this evening, or there's something seriously wrong with this picture. LOL. I have a feeling I made a booboo of some sort here. Look toward the bottom of the picture. Rut roe. Interested in Penniman? Click here! UPDATE! Rose will be giving a talk in Richmond on September 25th at the Virginia Center of Architecture! Click here for more details! April 4th of this year, I had a delightful time riding around Richmond in a Lexus SUV filled with several knowledgeable, intelligent and interesting women, who also happened to be history buffs and old house lovers. We began our adventure with a single-minded purpose: Looking for kit homes. On my previous two trips to Richmond, I’d driven myself around town, finding a few treasures here and there, but searching for kit houses is tough when you’re the driver and the watcher. There were several fun discoveries yesterday, but my #1 favorite was a rare pre-WW1 kit house that I had never seen before. It was a Gordon Van Tine Model #124, and it was on a main drag through town. 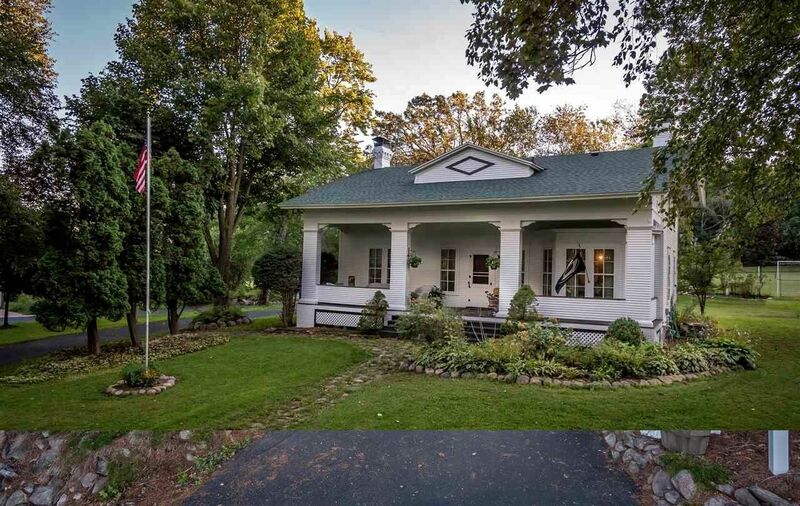 And better yet, once I pulled out my books at home and did a little research, I learned that this house in Richmond was featured in a 1913 Gordon Van Tine catalog! Scroll on down to learn more! Thanks so much to Barb, Melissa, Anne and Jessica for making Friday such a fun day, and thanks especially to Molly for her deft navigation of Richmond’s old neighborhoods! To read about our other finds in Richmond, click here. And thanks to Rachel for sending me a copy of her very rare 1913 Gordon Van Tine catalog! You can find Rachel’s blog here! To learn more about Gordon Van Tine, click here. 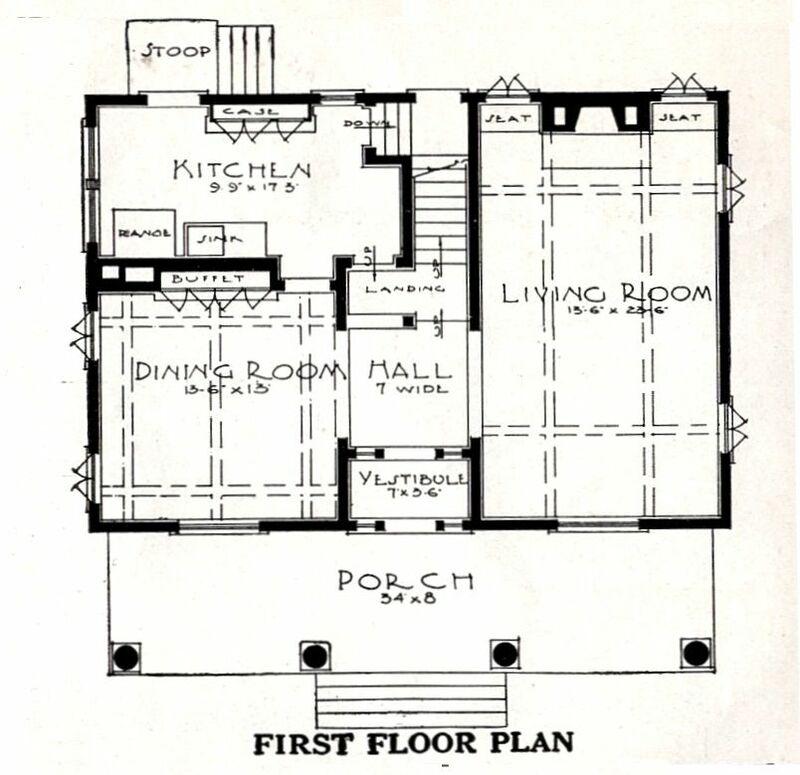 Many folks have heard of Sears kit homes, but not too many have heard of Gordon Van Tine. This was another national kit home company that - like Sears - sold entire kit homes through mail order. The company was based in Iowa, but we've found several GVT homes in Richmond. 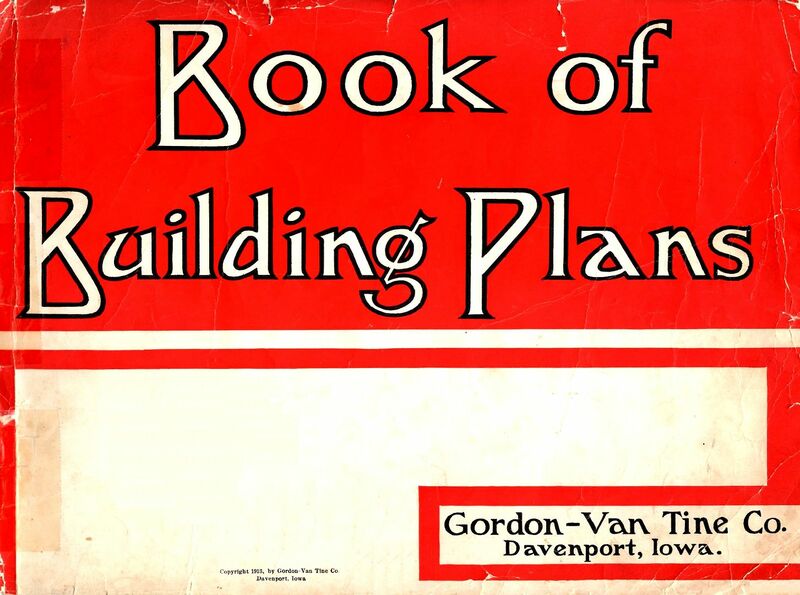 Shown above is a 1913 Gordon Van Tine catalog. 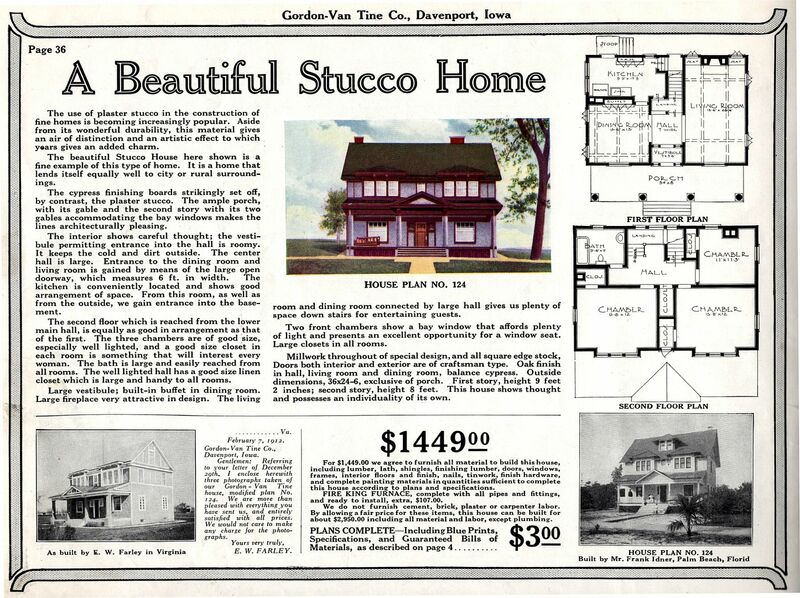 GVT Model 124 was called "A Beautiful Stucco Home" (1913 catalog). 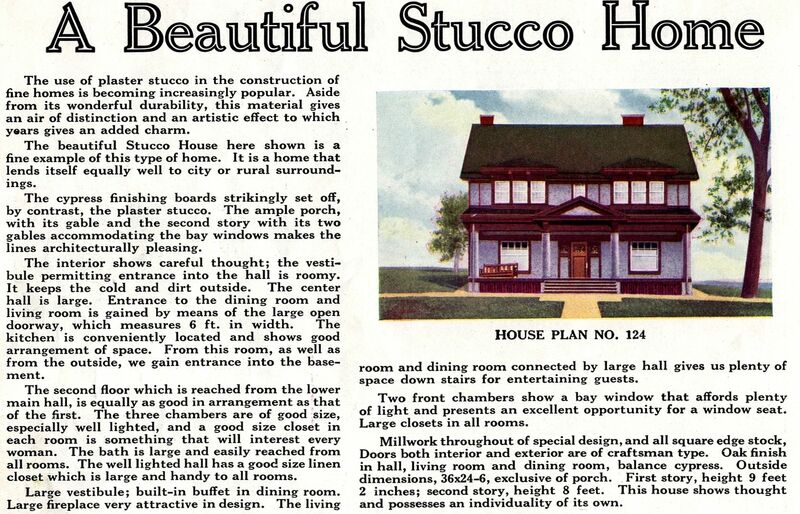 Stucco "gives an air of distinction and an artistic effect..." (1913 catalog). Number 124 had spacious rooms, lots of windows and a built-in window seats in the living room! Not sure about the lavendar paint and green roof, but it is a fine-looking house. Seems that a fellow named Mr. Farley built a #124 in Virginia. 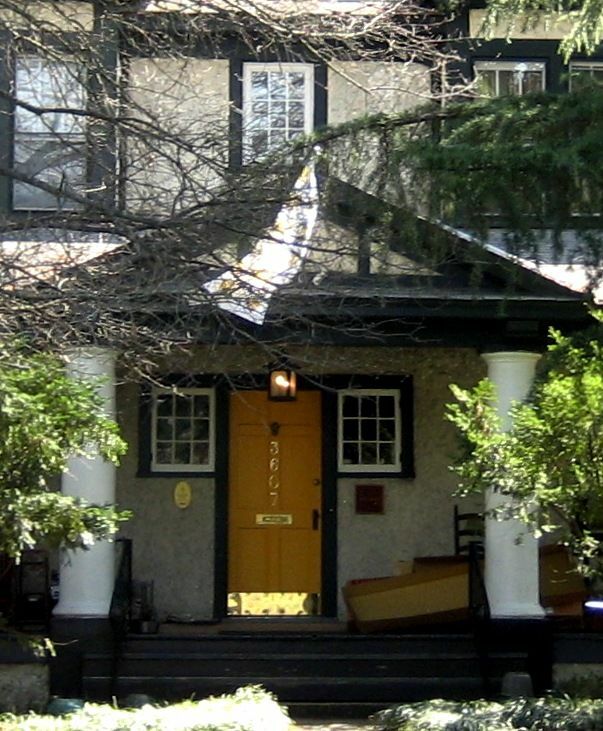 Mr. Farley says his house was "modified," but the only difference I can readily see is this half-timber effect on the porch gable. I didn't see that on the other images in this catalog. And yet, if you can peek around the flying flag, you can see this half-timber effect within that porch gable. Could it be? 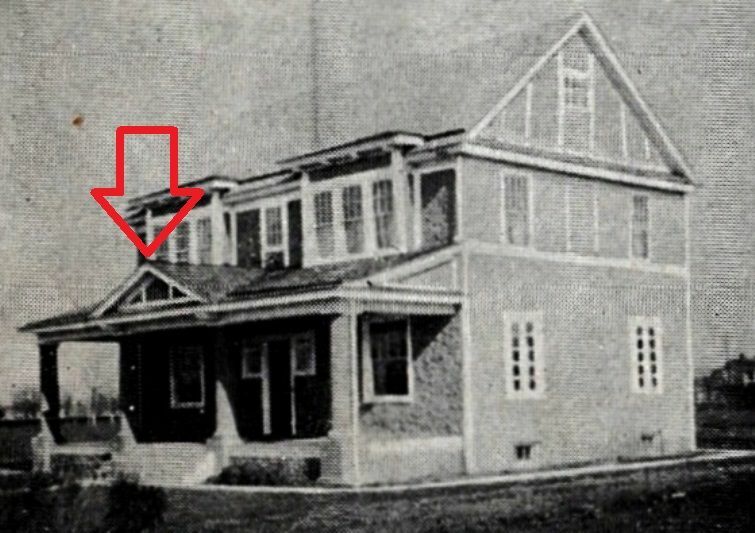 Is this Mr. Farley's house that was featured in the 1913 catalog? According to the Richmond City Directory, Ernest W. Farley, Jr. and his wife Lucille were living at this address in 1944. Ernest Watson Farley Sr. married Maude Starke on April 12, 1911, and their son (Junior) was born in Feburary 1912. 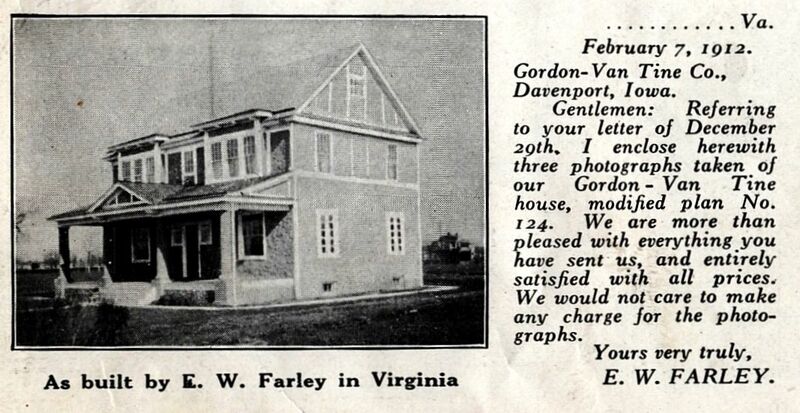 Given that this testimonial appeared in the 1913 catalog, it's likely that E. W. Farley built this house for Maude soon after their wedding, and then deeded the house to his son in later years. What an unexpected delight to find *the* house featured in a 100-year-old testimonial! And there's a brass plaque on the front of Mr. Farley's home. If anyone knows what's inscribed on it, please let me know. 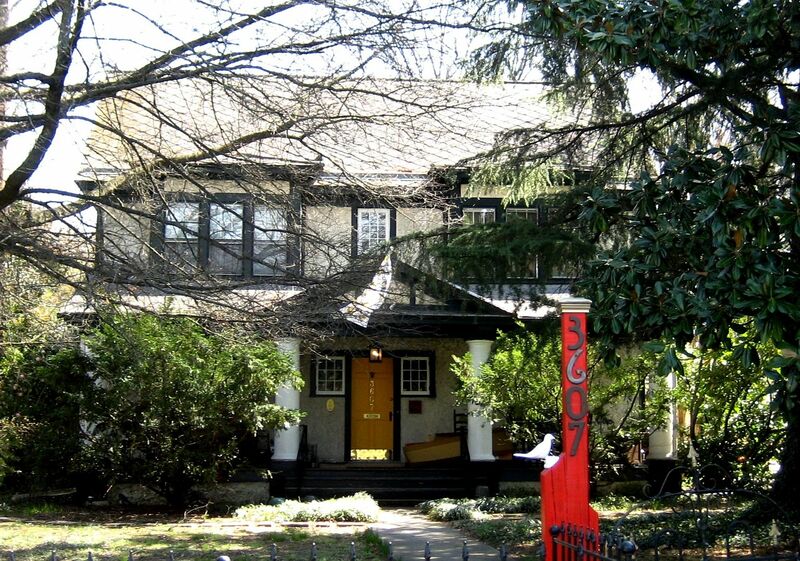 To learn more about kit houses in Richmond, click here. To join us on Facebook, click here. Update! Thanks to Anne, I have a little more information on the Farley Family. The first name of both father and son was Ernst (not Ernest, as it appears in the city directory), and Ernst Watson Farley, Jr. was a member of the Virginia House of Delegates from 1968-1971. Delegate E. W. Farley was born in February 1912, and it seems likely that he was born in the GVT #124. Father (Ernst Watson Farley Sr.) was born in 1879, and was the founder of RECO Industrial Pressure Vessels (in 1914), which was originally located on Brook Street. I wonder if Father started the new business in his new home?